At Cascade Cadence, a big part of our mission is to work with clients who share our values. One of these values is supporting a healthy planet and sustainable future. (Hence our decision to become a member of 1% for the Planet.) Considering those values and our goal of working with like-minded companies, we’re proud to be collaborating with ethical merino wool apparel manufacturer Bluey Merino. 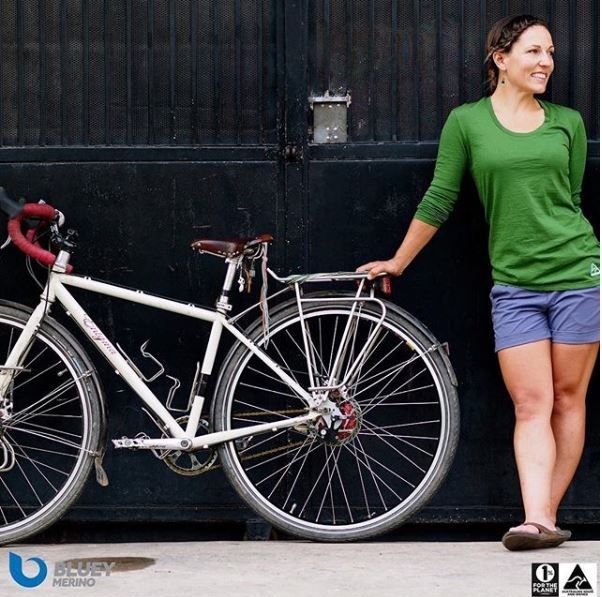 Bluey Merino is also a member of 1% for the Planet, and the company is dedicated to sourcing “certified ethical merino wool direct from Australian Merino growers and manufacturing in the country of consumption”, meaning clothing sold in Australia is made in Australia, while clothing sold in the US will be made here. Snowpocalypse by Day. Content Strategy and SEO Copywriting by Night. As of today, starting Sunday night, Bend, Oregon—the city I call home—will have experienced its biggest February snowstorm in more than a century. What does this mean professionally? It means the past few days have been spent entertaining my two kiddos—whose schools are closed—with adventures in snowbanks that tower over their head, shoveling feet upon feet of fresh snow, and watching and re-watching Disney’s Pocahontas and Ralph Breaks the Internet. It also means any and all Cascade Cadence work gets done at night, long after the kids are asleep. But it is getting done, and done well! Such is the life of an entrepreneur. Here are a couple pictures from the neighborhood. And if I can get everything done and meet all my deadlines before the week is out, you’d better believe I’m heading up to Mount Bachelor for a “once-in-a-century” powder day! Shoveling the walkway with Will. Eleanor, about halfway through the storm. The neighbor’s car, which has since vanished under significantly more snow. Apologies if I’m slow to reply to email! If so, it’s because I’m playing with my kids or shoveling out our home! Twice a week, on Tuesdays and Thursdays, I bring my running gear into the office so I can duck out at some point in the day and go for a run. I do this year-round—or try to, barring injury, workload, scheduling conflicts, etc.—donning tights, hat, gloves GORE-TEX running shoes and traction spikes in winter, and tank tops and sunglasses in summer. Outdoor exercise is, for me, one of the most enjoyable activities I can imagine. These days, I’m lucky that my workday runs allow me to quickly immerse myself in thick woods along the banks of a beautiful river, but getting outside and active was part of my routine even when I lived in congested urban jungles. That said, I’d take a ribbon of loamy singletrack over a cracked concrete sidewalk any day of the week. Do my runs take time out of my workday? Yes, but I’m a firm believer that breaking up blocks of time spent hunched over a desk, staring at an electronic screen or stuck in pointless meetings, with periods of activity—in nature, when possible—makes you more productive, creative and efficient, thereby negating the loss of time when you could be working through lunch and sitting sedentary under the humming fluorescent lights of your office. Many studies have shown that an uninterrupted eight-hour workday is actually counterproductive when it comes to creativity. Instead, unless you’re “screwing in widgets on an assembly line,” shorter chunks of creative work are vastly more effective, whatever Elon Musk may think. This seems reason enough to lace up your running shoes a couple times a week. But regular exercise doesn’t just keep you healthy and in top shape physically; the mental benefits of regular exercise are also tremendous. On days when employees visited the gym, their experience at work changed. They reported managing their time more effectively, being more productive, and having smoother interactions with their colleagues. Just as important: They went home feeling more satisfied at the end of the day. For many of us, it’s hard to find time to exercise at all, let alone between eight and five, Monday to Friday. Outside Magazine shares some useful tips about how to most efficiently squeeze a workout into your workday, including making sure you’re prepared to quickly change into your workout gear when you have the time, and blocking out time on your calendar to make sure nobody books a meeting—that likely could have been an email—when you want to go for a run. Whatever you choose to do, choose something. Science proves that breaking up your workday with an exercise routine makes you a more creative, more productive, more efficient and happier worker. And that benefits everyone. 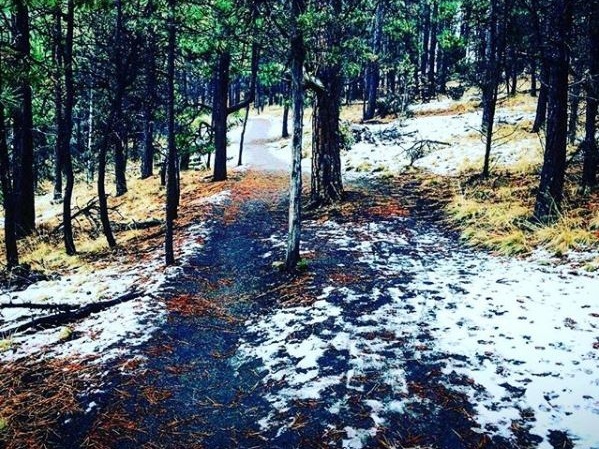 This time of year, when snow blankets my usual running trails, I rely on a couple pieces of crucial gear in order to make sure my runs are still safe, comfortable and fun. My Brooks Ghost GTX running shoes—a gift from my sister-in-law Kath—are lightweight, insanely comfortable and lined with a waterproof/breathable GORE-TEX membrane. They keep my feet dry even when I’m galloping through ankle-deep snow or slushy puddles. When the trails are covered in snow and ice, I literally could not run safely without another gift, this one from my sister Sarah: my Kahtoola NANOspikes easily slide on over my running shoes and provide unfailing traction all winter long. The Outdoor Research Surge Gaiters are light enough that I don’t even notice them, yet keep snow, mud and trail debris out of my shoes and off my ankles on the trail. If you run in variable winter conditions, I heartily recommend all three products! Trust is crucial when it comes to content marketing. For that matter, earning and maintaining your customers’ trust is crucial to the success of any organization. If your customers don’t trust you, they won’t patronize you. And the best way to gain that trust? It’s simple: Tell the truth. A child in Rwanda enjoys a book donated through LuDela’s Better Light, Better Lives mission. When I started Cascade Cadence Content Marketing, one of my goals was to work with people and organizations I respect, people and organizations that share my values and give back to causes in which I believe. In line with those goals, I’m very proud to be working with LuDela Candles, a B-Corp that donates a book for every product sold, helping to build libraries in underserved communities, creating the foundation for a movement of literacy around the world. Congrats to Cascade Cadence client InkFish Inc. on launching their new website! Maggie and Travis are two successful entrepreneurs—and passionate outdoorspeople—who just launched their new joint venture. Read more about their business—and how Cascade Cadence helped them hone their story—on the Cascade Cadence blog. 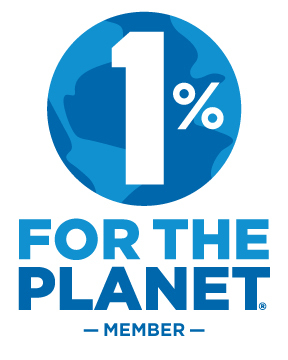 I’m proud to make the support of environmental preservation via membership in 1% for the Planet a cornerstone of Cascade Cadence Content Marketing’s work right from the get-go. It’s a small commitment, but when combined with the efforts of like-minded people and businesses, I hope it will be an impactful one. More Expanded Capabilities - Art Direction and Graphic Design! Wait a second… Didn’t we just expand our capabilities into video? Indeed, but now Cascade Cadence has also partnered with the incredibly talented Jay Turner of Jay Turner Design. That means our clients now have access to inspired art direction and graphic design for email marketing design, web ad design, infographics, packaging design, and much, much more. Check out Jay’s work on his site. If you like what you see, feel free to reach out. We’d love to work with you. Expanded Capabilities – Video Production! Copy. Content. Storytelling. And now… video? Yup, thanks to a partnership with the talented Joey Houle of Joey Houle Photography, Cascade Cadence Content Marketing can now help you create awesome brand videos, product videos, explainer videos, FAQ videos and more! From concepting, to scripting, to shooting, to editing and final production, this partnership gives our clients the opportunity to create video content that further drives traffic, engagement and sales. Why Are Long-Tail Keywords So Valuable? Get the most value out of your content marketing efforts by focusing on long-tail keywords. Long-tail keyword content lets you capture prospective customers who are specifically searching for you, your product or your service. And on top of that, prospective-customers who are searching via long-tail keywords are significantly more likely to know exactly what they want, which means they’re much more likely to convert. Marketing email subject lines aren’t randomly written off the cuff; most likely, they’re a calculated combination of numerals and words, carefully crafted to be a specific word or character count, designed based on prior test results to most effectively persuade you to click “open”. 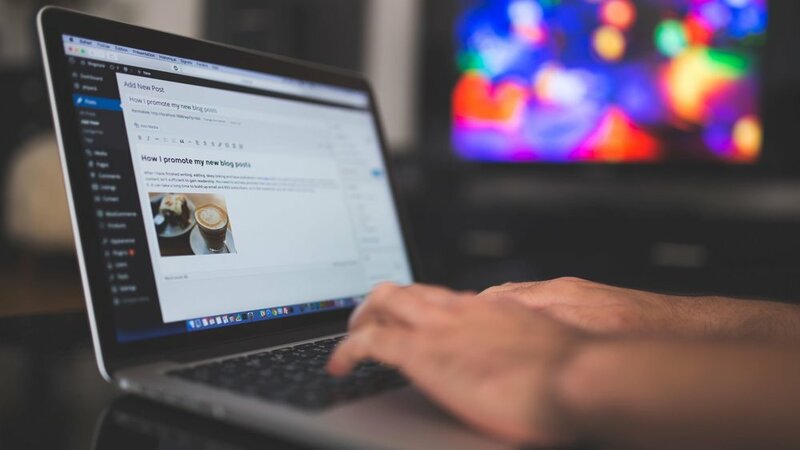 It’s amazing how small changes in word selection, page layout, headline phrasing, button placement and other seemingly minor choices can have immediate and meaningful impact on pageviews and conversions driven by your online copy and content.